John Pilger describes the meaning of Julian Assange's brutal arrest at the Ecuadorean embassy in London and says it is not only the extraordinary story of one man's struggle but an echo of a past that carries a lesson for us all. 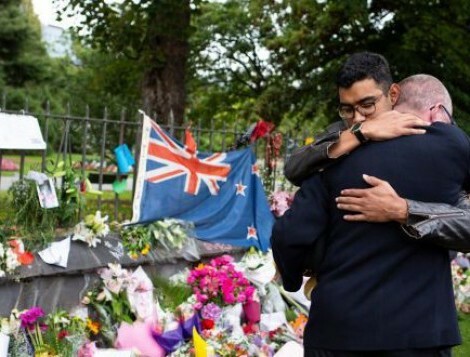 The massacre by an Australian of 50 people is the product of a nation in denial of a history built on racism and violence, with racist prime ministers and a media dominated by Rupert Murdoch. Read this brilliant piece by Chris Graham. In two separate major interviews - the first published in India's leading news magazine, Frontline, the second broadcast on RT - John Pilger describes the rise of a second cold war and the conversion of much of journalism to unconscious satire - 'beckoning a real, unreported danger'. 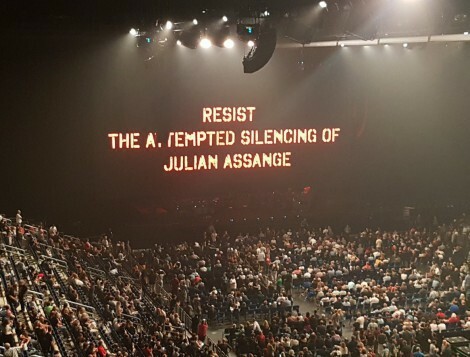 In a keynote speech at the 'The Power of the Documentary' festival he curated, John Pilger described the 'noise' of the media, its integration into national security aims of western states and its silencing effect across journalism, film-making, the arts. Over ten days, 26 documentaries, many of them rare and prescient, such as 'Hearts and Minds' and 'The War Game', 'The Quiet Mutiny' and 'Stealing a Nation', were screened to audiences at the Museum of Contemporary Art and Riverside Theatres. In his foreword to a powerful new book by David Edwards and David Cromwell, the founders and editors of Media Lens, Propaganda Blitz, John Pilger asks what happened to an age of eyewitness reporting and to journalism that relied on evidence. Listen to John Pilger interviewed on KPFA by Dennis Bernstein and Randy Credico. Also, listen to this interview on Sputnik Radio. John Pilger describes a women's rebellion in which his own 'intractable' forebear took part and which leads us to ask: where is such a spirit of resistance today? 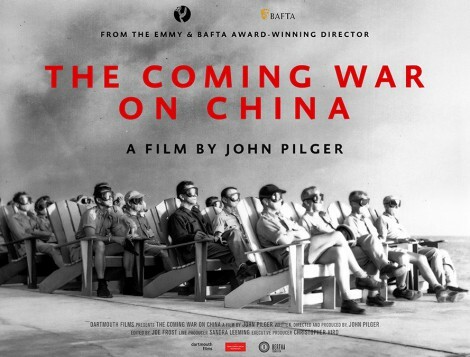 John Pilger's 2016 film - The Coming War on China - is now available to watch on this site. Pilger reveals what the news doesn't - that the world's greatest military power, the United States, and the world's second economic power, China, both nuclear-armed, are on the road to war. The film is a warning and an inspiring story of resistance. 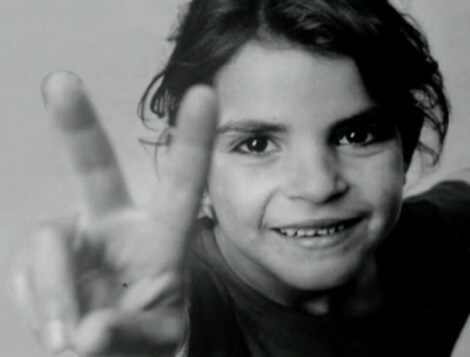 John Pilger's 2002 film Palestine Is Still The Issue bore the same title as his film 24 years earlier. Shown on ITV in Britain and around the world, the film and Pilger were attacked by a virulent trolls' campaign in the US, including death threats, and finally vindicated by the Independent Television Commission as a work of "thoroughness and historical integrity". With the present-day massacre of Palestinians by Israeli snipers on the border with Gaza the film tells a timeless truth. You can watch it here. 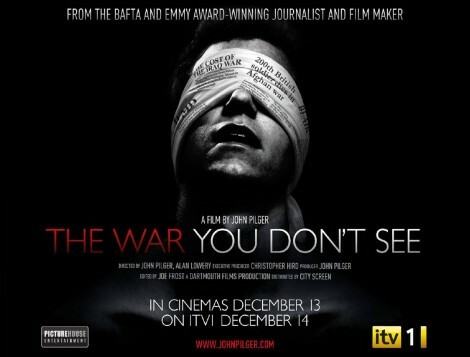 Watch also The War You Don't See (2013) for how the Palestinians and their Israeli occupiers are reported in the media. And read Gideon Levy, a rare voice in Israel, on the Israeli slaughter in Gaza. Watch John Pilger on RT's Going Underground discuss the claims of Theresa May, Syria, Iran, Korea and the silencing of WikiLeaks founder Julian Assange. You can also listen to Pilger's interview about new attempts to push Assange out of the Ecuadorean Embassy in London. Amy McQuire tears away the facade on the Commonwealth Games currently under way in Australia, on Queensland's Gold Coast. 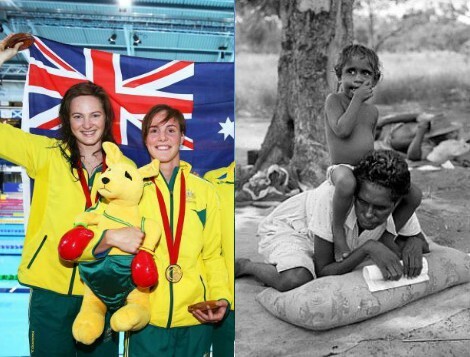 Australia has a long history of presenting a sunny, sporty picture of itself, complete with Indigenous icons and 'celebrating' native people. 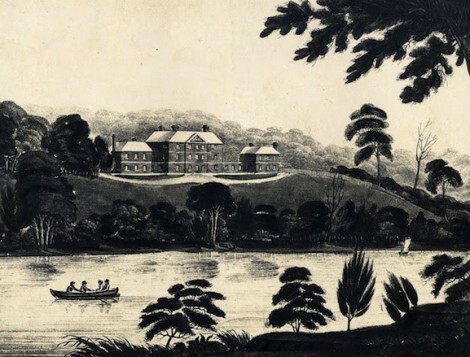 There is rarely a hint of the greatest theft of land in recorded history and the brutality that accompanied it, especially in Queensland, the bloodiest state, and which goes on today. 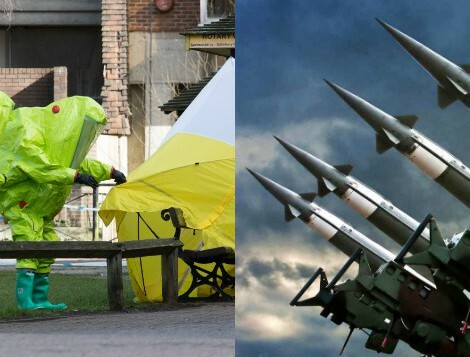 Watch John Pilger in this commentary on the British Government's accusations against Russia over the poisoning of the double agent Sergei Skripal and his daughter in Salisbury, not far from the Porton Down facility where chemical weapons are developed. On the day a London judge decided the bail case against Julian Assange would not be dropped 'in the public interest', John Pilger in this interview described the background to the latest revelations of collusion between the Crown Prosecution Service and the Swedish authorities. 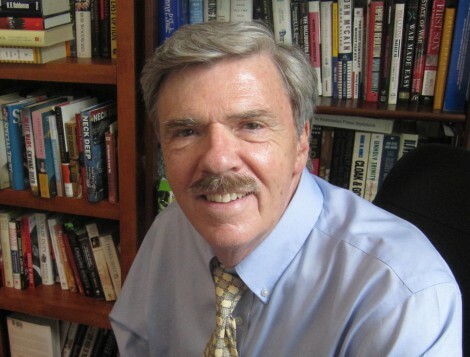 John Pilger writes: Robert Parry, one of America's greatest journalists, has died, tragically. He was 68. I had the privilege of honouring Bob Parry in London last June when I presented him with the 2017 Martha Gellhorn Prize for Journalism. Bob's work for the Associated Press and as founder and editor of consortiumnews.com was a beacon of principled, often courageous journalism in a landscape of compliant, distorted anti-journalism that now misrepresents our craft in the misnamed 'mainstream'. All of us at the prize-giving dinner were stunned by the power of his original thought, eloquence and historical understanding in the address he gave, off the cuff, in which he demystified and laid bare the rise of rapacious power in Washington. 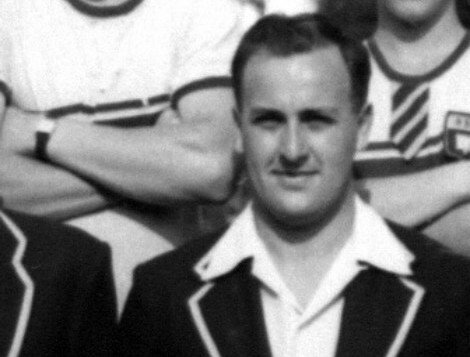 Following is a link to a fine eulogy by Bob's son, Nat Parry. 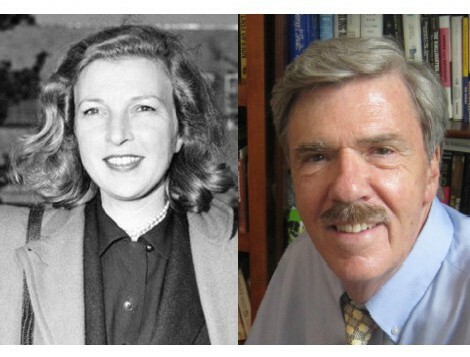 I ask readers to take up Nat's suggestion and donate to Consortium News - https://consortiumnews.com/2018/01/28/robert-parrys-legacy-and-the-future-of-consortiumnews/ - and keep alive Bob Parry's legacy, also described here in Dennis Bernstein's tribute on Radio KPFA Berkeley, California. The British Library has acquired John Pilger's entire written archive, with work reaching back to the 1960s, along with hundreds of his interviews. The official announcement can be found on the British Library website. To mark the acquisition of the Pilger archive, 'The Power of the Documentary', the Library has staged a festival of John Pilger's films and others representing the best of the craft. This was the first time the British Library has honoured a documentarian in this way. As part of the festival, John Pilger gave this address: 'Why the documentary must not be allowed to die'. Read an edited version here. You can also watch John Pilger interviewed about the British Library event on Going Underground and on BBC Radio London. Returning to South Africa, John Pilger delivers an inaugural lecture in Cape Town in memory of the anti-apartheid campaigner, Abdulhay Ahmed Saloojee. 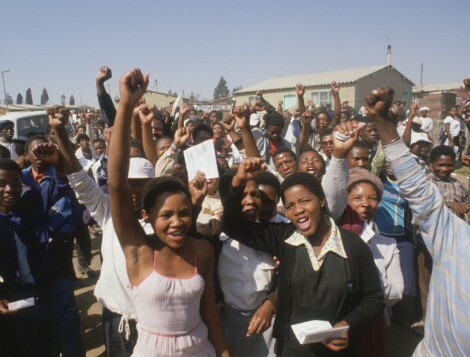 He asks why the struggle for freedom has yet to be won, why a form of apartheid still rules and why this oppression has become a model for much of the world in the 21st century. You can also watch John Pilger's 1999 film Apartheid Did Not Die on this website. Rio Cinema, Tuesday 28 November, 6pm: Fundraiser screening for Stop the War Coalition. Followed by a Q&A with John Pilger. The Barbican, Friday 8 December, 1.50pm: Screening as part of the Global Health Film Festival. Followed by a one-hour conversation with John Pilger. John Pilger describes the obsequious media support for Hillary Clinton's score-settling book about her failed attempt to win the US presidency - title, What Happened - notably by the ABC in Australia. 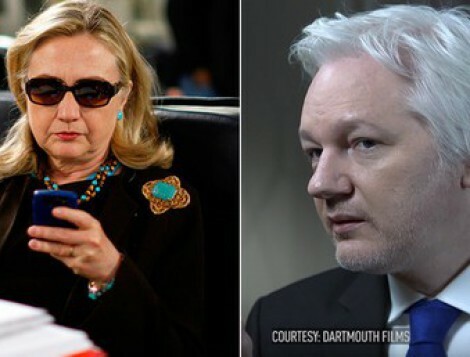 He analyses her attacks of Julian Assange and WikiLeaks, whose disclosures of her warmongering and corruption were blamed for her losing to Donald Trump. Reporting from New York, John Pilger describes the re-writing of the history of the Vietnam War in the 10-part television series by Ken Burns and Lynn Novick. Millions died "in good faith", they say. And so yet more wars are justified - as President Trump tells the world he is prepared to "totally destroy" North Korea and its 25 million people. 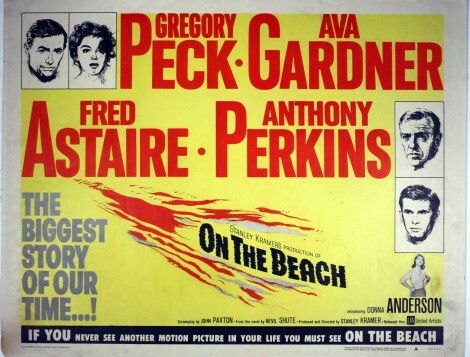 In a new essay, John Pilger recognises Nevil Shute's novel, On the Beach - on which a Hollywood film was based - as a forgotten masterpiece, which conveys an urgent warning of how close we may be to nuclear war in 2017. 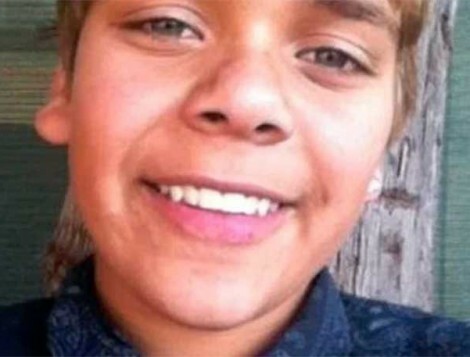 Chris Graham reports on the trial in Perth, Australia of the white man who killed Elijah Doughty, an Aboriginal teenager, and the litany of killings and injustice that preceded it and mark the other Australia behind the sunny mask. Read the abridged version of John Pilger's address to the Palestinian Expo 2017 in London in July 2017. 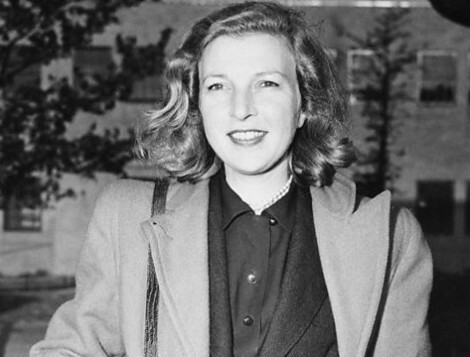 Read John Pilger's remarks in presenting the 15th Martha Gellhorn Prize to the American journalist Robert Parry at a dinner in London on 27 June 2017. Following the news that Sweden has dropped its case against Julian Assange, John Pilger draws together his investigations into the pursuit and persecution of the founder of WikiLeaks. 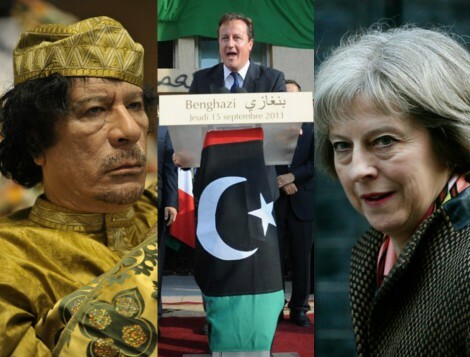 In this investigation, John Pilger raises questions about the role of the British 'deep state' in the atrocity that killed 22 in Manchester on 22 May 2017. John Pilger's prescient new film, The Coming War on China, has attracted huge interest in China, understandably. The original film has been 'pirated' and one version includes Chinese subtitles. 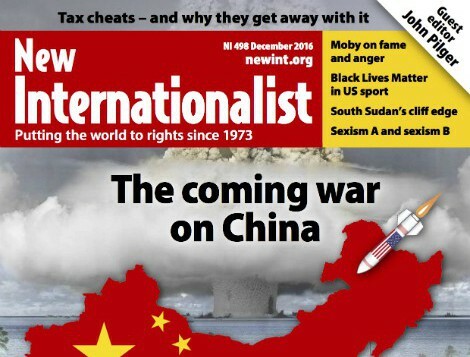 With the world now approaching the edge of possible nuclear war - with threats to North Korea, and China - John Pilger and Dartmouth Films UK have decided to release the Chinese sub-titled version (also English subtitled) to Chinese viewers, to be downloaded online free of charge. In this conversation with US economist and broadcaster Jerry Robinson, John Pilger describes the issues raised in The Coming War on China, and discusses Trump's current threats to North Korea. Acclaimed journalist and human rights firebrand John Pilger stares down those who would defend America's ongoing military presence in the Pacific at significant cost to the indigenous population. 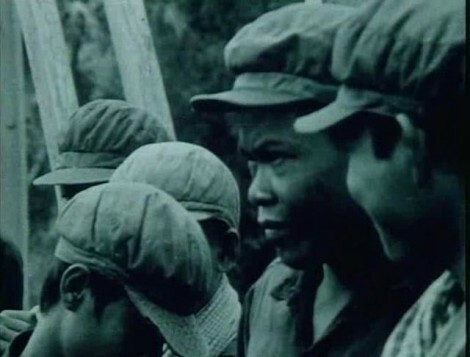 His expose of the atrocities still being committed there is just part of this far-reaching documentary about the relationship between the US and China since World War II, in light of recent inflammatory statements made by President Trump. Here are stories apparently left untold by the mainstream news media - fake or otherwise. 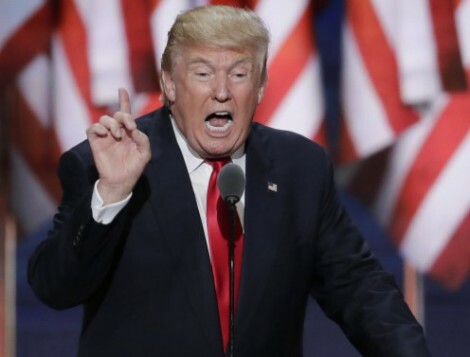 This latest John Pilger article, 'Trump's attack on Syria is a warning to China - and Australia' appeared in the Sydney Morning Herald. Australia is sleep-walking into a confrontation with China. Wars can happen suddenly in an atmosphere of mistrust and provocation, especially if a minor power, like Australia, abandons its independence for an "alliance" with an unstable superpower. John Pilger has been awarded the International Journalism Prize by the Press Club of Mexico in the XLIV National and International Competition of Journalism, founded in 1951 by Antonio Saenz de Miera. The citation reads, "The exclusive interview with WikiLeaks founder, Julian Assange, through which international public opinion was able to ascertain the extent of the key issues of the current political situation [is] journalism that allows people to defend themselves against powerful, clandestine forces." I wrote this obituary of my brother Graham for the Sydney Morning Herald. 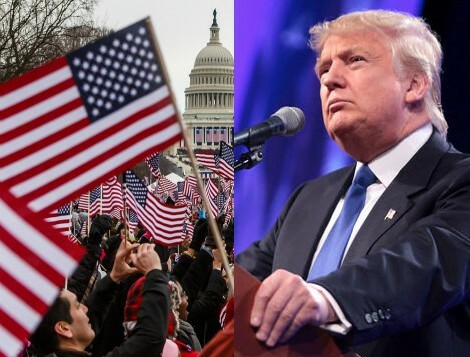 John Pilger argues that the obsession with Donald Trump, as the liberals' ultimate demon, masks an enduring complicity in creating him and his predecessor in the White House. 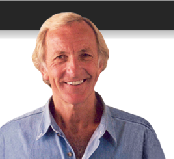 John Pilger says: "I am delighted to be back in the New Internationalist as guest editor. This issue's keynote and supporting articles are the result of two years' work on a documentary film about the shift of the world's economic power east, to China, and the US reaction to this challenge to its dominance. 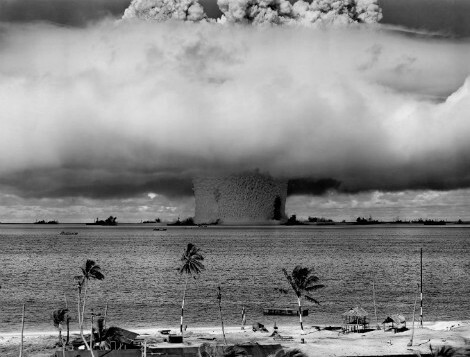 Losing its economic prowess, Washington has turned almost obsessively to its military might; and the prospect of nuclear war is no longer unthinkable. What I found in Asia, the Pacific and the US, was not only evidence of great risk and folly, but extraordinary resistance to a coming war among island people on the frontline: the Marshalls, Okinawa, Jeju: faraway places of which we may know little but which offer an inspiring example as they face the most powerful military machine. This NI is both a tribute to them and a warning, and will, I hope, raise an issue we all need to understand and act upon." In a filmed interview with Afshin Rattansi, John Pilger describes how the collusion and silence of America's 'enlightened' liberal elite, notably its journalists, helped create President Trump. 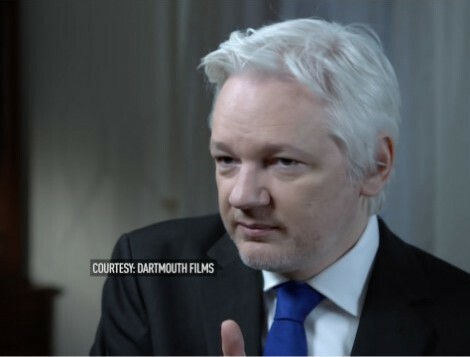 In this exclusive, revealing and moving filmed interview, Julian Assange discloses the truth behind the investigation of Hillary Clinton, and his own political refuge in the Embassy of Ecuador in London. 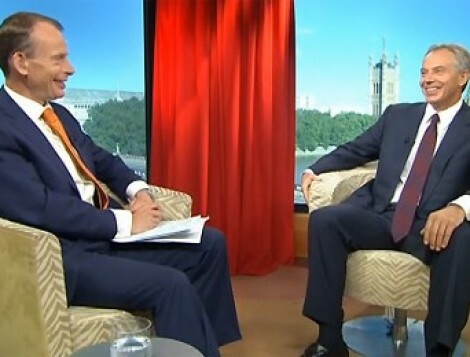 The interview was filmed on 30 October 2016. In an address to the Sheffield Festival of Words, in Sheffield, John Pilger describes the 'invisible' and all-powerful role of media propaganda. Writing from the United States, John Pilger joins a momentous election campaign - his fourth as a reporter - and suggests that the sound and fury may not be as it appears. 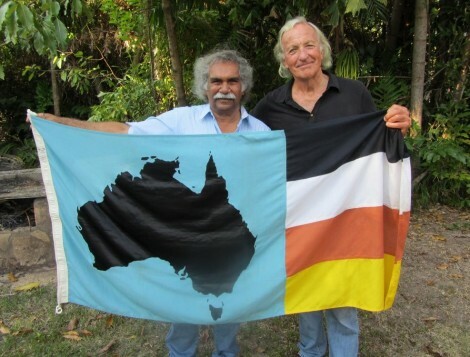 John Pilger's acclaimed film on Indigenous Australia joins his archive for public viewing. Watch now. 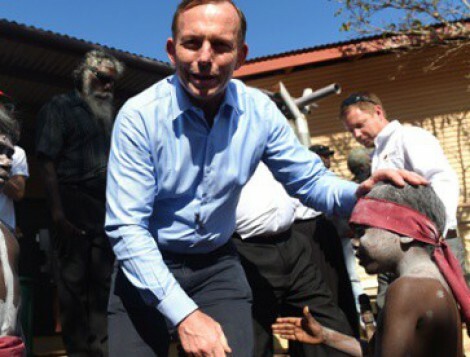 In this latest report on the vast Indigenous region in Australia known as Utopia, John Pilger reveals a dirty secret. 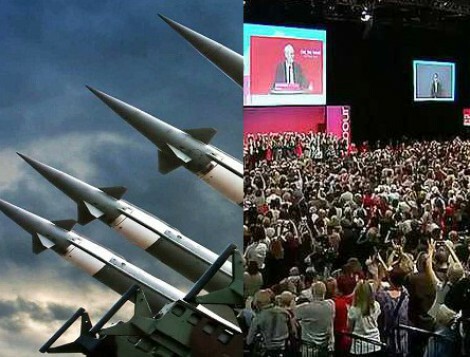 In an address at the University of Sydney, John Pilger describes the beckoning danger of a nuclear war and the propaganda that smothers dissent. John Pilger, whose film, Death of a Nation, revealed the atrocities and political machinations that befell tiny East Timor reports on the discovery of documents that reminds us of the enduring piracy of great power. John Pilger describes a landmark judgement in the Julian Assange case that may see the WikiLeaks founder walk free after five years. 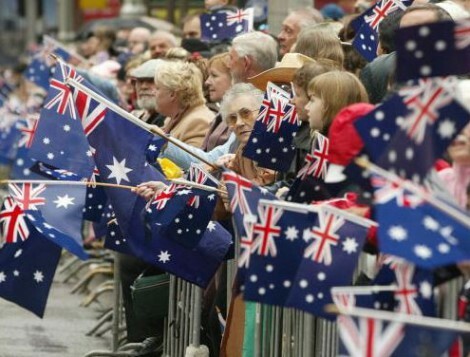 John Pilger describes the real meaning of 'Australia Day', a national day celebrated and mourned. John Pilger is interviewed on Russia Today's 'Going Underground' on the unmentionables in western political and media life and the rapid drumbeat for a major war. Following the ISIS outrages in Beirut and Paris, John Pilger updates this prescient essay on the root causes of terrorism and what we can do about it. 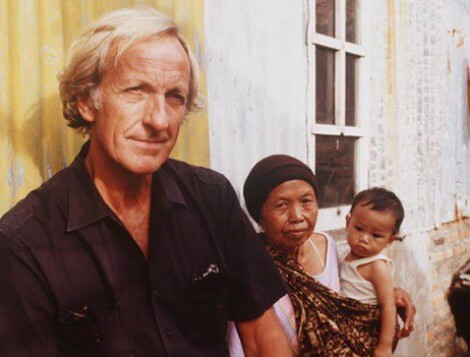 On the 60th anniversary of the founding of ITV, Britain's and Europe's biggest commercial broadcaster, John Pilger's groundbreaking film, 'Year Zero: the Silent Death of Cambodia', has been named as one of the network's 60 top programmes. 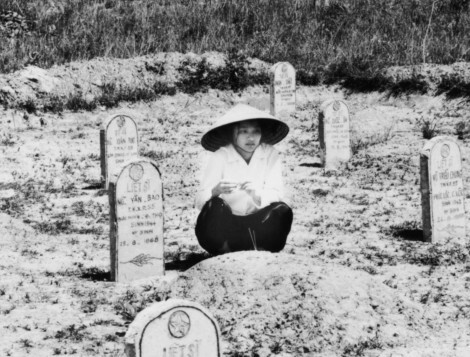 'Cambodia Year Zero', as it became known, was credited with alerting the world to the suffering of the people of Cambodia under the fanatical regime of Pol Pot. It raised tens of millions of pounds for Cambodia's children - mostly unsolicited - and became the most watched documentary throughout the world. Watch the film and read John Pilger's account in his anthology 'Tell Me No Lies: Investigative Journalism and its Triumphs'. 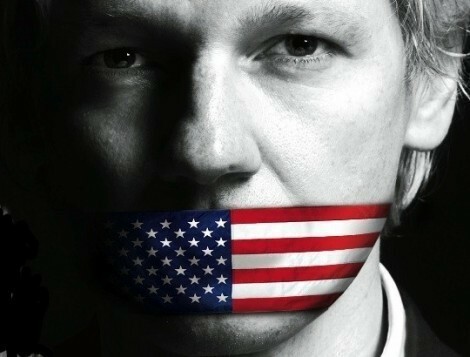 This is an updated version of John Pilger's 2014 investigation which tells the unreported story of an unrelenting campaign, in Sweden and the US, to deny Julian Assange justice and silence WikiLeaks: a campaign now reaching a dangerous stage. 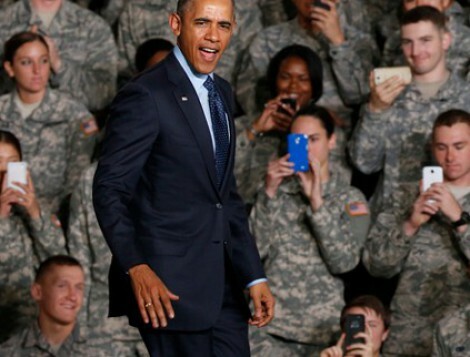 In this article for the Sydney Morning Herald, John Pilger compares the heroism of those with moral courage with the 'sludge' of fake patriotism. In a major article for the Guardian, John Pilger follows the release of his film 'Utopia' with an investigation into a new attack on Australia's indigenous people, which has been called 'cultural genocide'. 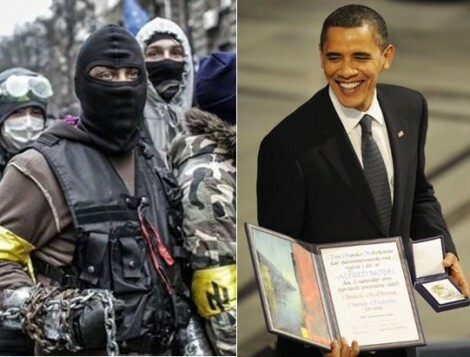 In a major essay, John Pilger describes a 'Faustian Pact' that allows the suppression of a modern fascism in the West and its reliance on propaganda as news, and the beckoning of a war that rarely speaks its name. 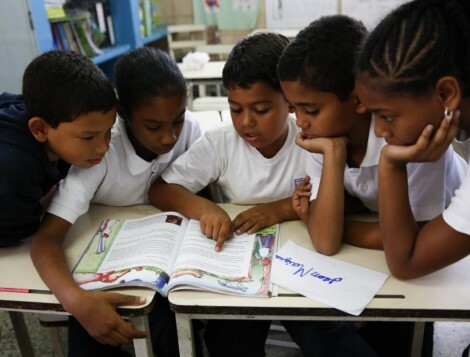 Children in Venezuela benefit from the country's first free universal education. With a 'slow motion coup' under way in Venezuela, John Pilger is interviewed for Telesur, the Latin American TV network, by Mike Albert. 'Journey' is an overworked word these days, but I can think of none other to describe the making of a documentary film. 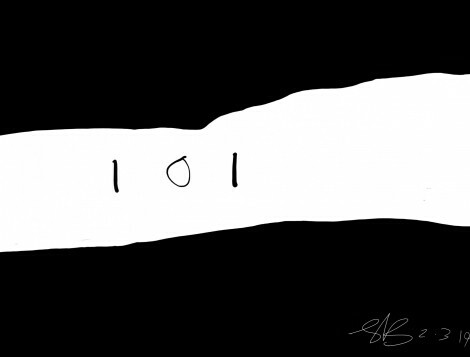 Ten years ago, a film of mine could be made in six months, even less. The main work was the research, the journalism.Whenever I felt confident I had the basis of a 'story', I would go to the ITV Network in the UK and seek a broadcast commission. If that was forthcoming, ITV would fund the production. The difference now is that I, the film-maker, must raise most of the production money. Also, my documentaries have changed considerably in recent years. They are now made for the cinema as well as TV, and for the internet. I've made three films this way, The War on Democracy (2007), The War You Don't See (2010) and Utopia (2013). Utopia took more than two years to make. In raising the money for these films, I've been fortunate to find sympathetic philanthropists and foundations, and persuade them to contribute without attaching any editorial strings. But these benefactors are rare, and tracking them down is probably the hardest part of film-making now and, frankly, not the kind of work I ever saw myself doing - I've always preferred simply to do the job I knew - journalism. I've lately embarked on another film journey - this will be my 60th documentary. ITV has commissioned the film, and provided seed money. 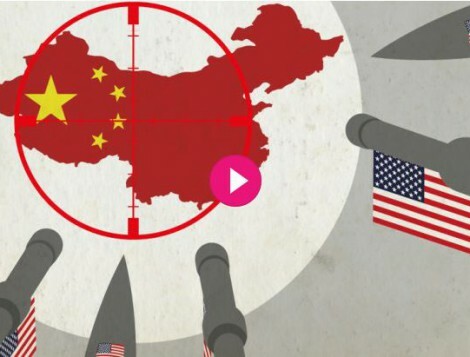 The working title is The Coming War Between America and China, and the film will tell the largely unreported story of a new US strategic policy known as 'the pivot to Asia'. In a nutshell, what this means is that the US is preparing for a new provocative cold war that has every chance of becoming a hot war. 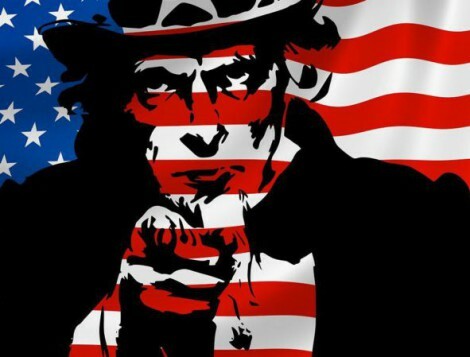 Washington has begun to move its main missile and naval forces into the Asia-Pacific in order to surround and 'confront' China, whose extraordinary economic rise in recent years is regarded in Washington as a threat to American dominance. For obvious reasons, I won't lay out here the 'where, what and why'. 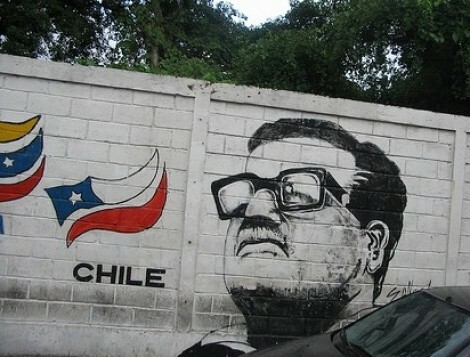 Suffice to say the film will be shot in some surprising places where I'll meet and interview extraordinary people. Above all, it will be revealing: that is assured. Having read this far, you're sure to guess that this message is heading towards another modern cliché - an 'ask'. My colleagues at Dartmouth Films and I need to raise at least £60,000 or $100,000 in order to start making the film. This money won't meet unforeseen costs or pay for distribution and promotion, but it will allow for the promised philanthropy, on which the bulk of the film's funding depends, to come on stream and for filming to begin. This is known as 'crowd funding' and, as you can guess, it's my first day in this strange new world. If you can give £5 - that's about $10 - no more - I'll be grateful. For your part, you'll have made a vital contribution to a film whose disclosure and warning are, I believe, urgently needed. I'm hopeful you'll be proud of the result. Thank you. 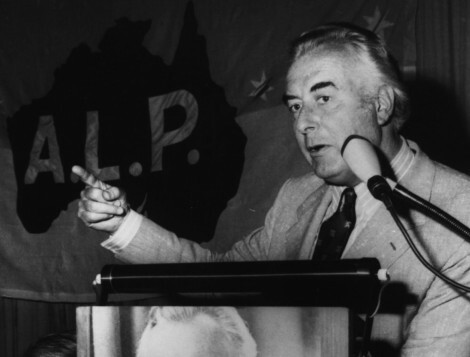 In an article for the Guardian, John Pilger marks the death of former Australian prime minister Gough Whitlam with the one story missing from the 'tributes' to a man whose extraordinary political demise is one of America's dirtiest secrets. On 31 August, following the release of his latest film Utopia, John Pilger spoke at the 'Festival of Dangerous Ideas' at the Sydney Opera House. In conversation with Liz Ann Macgregor, Director of the Museum of Contemporary Art, he discussed the devotion in Australian public life to the 'a status quo of unmentionables'. You can watch the conversation here. Interviewed by Channel 7's Andrew O'Keefe in Sydney ahead of the FODI, John Pilger describes how an insidious censorship works in a free society such as Australia. Watch the extended online version of the interview. On 11 September, John Pilger gave the Edward Said Lecture in Adelaide, in memory of the great Palestinian educator, writer, visionary. His subject was 'The Last Taboo: Gaza and the threat of world war'. Read an adaptation of the lecture. 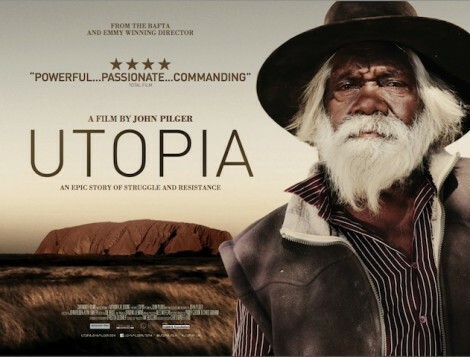 John Pilger's epic new film, Utopia, had its premiere in the urban heart of Indigenous Australia, in Sydney, on 17 January 2014. A record crowd of 4,000 included Indigenous and non-indigenous Australians who came from all over the country to hear the call for a renewed struggle for justice and freedom for Australia's first people. Since then, Utopia has had a remarkable 'journey' across Australia's vastness, screening at packed events in cities, towns and remote communities. On 30 January 2014, Utopia began its Australian cinema release at Cinema Nova in Melbourne. Utopia was broadcast nationally on SBS Australia on 31 May. Click here for a report of Utopia's impact. The film, already released and broadcast in the UK in 2013, was named by the London Film Review as one of the five best films of the year. For all distribution enquiries in Australia, contact Gil Scrine of Antidote Films on [email protected] For community events, contact Paddy Gibson at [email protected] For all other enquiries, please use the contact form on this website. 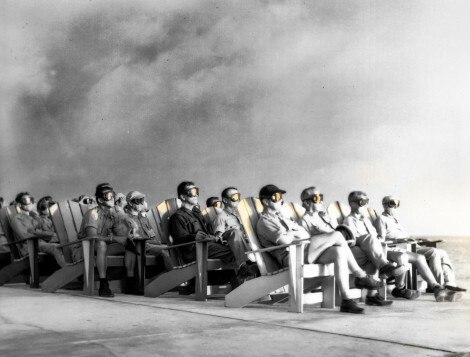 In his latest essay, John Pilger describes the liberal "one-way, legal/moral screen" behind which great power and its Orwellian propaganda ensure an impunity for war and deception, dependent on what Leni Riefenstahl called our "submissive void". 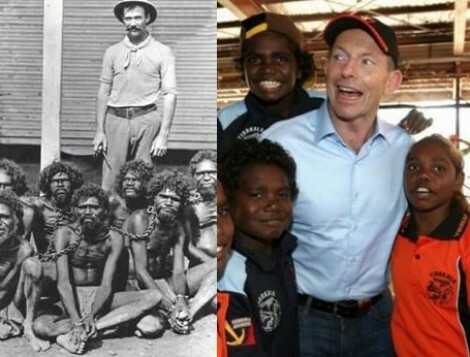 In an article for the Guardian, John Pilger reveals that the story of the first Australians is still one of poverty and humiliation, while their land yields the world's biggest resources boom. 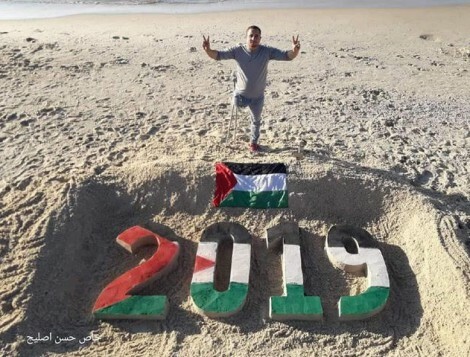 In this essay based on his Edward Said Memorial Lecture in Adelaide, John Pilger argues that the assault on Gaza represents a wider threat to us all, and with episodic dangers in Ukraine, and the accompanying propaganda, we are drawn closer to world war. In his latest column for the New Statesman, John Pilger steals a march on the Oscars with the 'celebrity Oscars' - 'those whose ubiquitous self promotion demands recognition'. John Pilger describes censorship in 'free societies' on a special edition of BBC Radio 4's Today programme guest-edited by artist and musician PJ Harvey. The public response to the broadcast of Utopia on the ITV Network has been widespread across the UK. Many people have asked what they can do to support Aboriginal people in their struggle for justice. I recommend that people write to Prime Minister Malcolm Turnbull, calling on him to start, without delay, negotiations for a fully constituted Treaty between the Commonwealth of Australia and all the First Nations of Australia. This would included long overdue restitution and universal land rights. I suggest you copy your message to the Australian press. Watch this video by 'concerned Australians' calling for a Treaty with Australia's First People. The rate of youth suicide in Indigenous Australia is now the highest in the world. Indigenous Elders are calling for support to help them heal their communities. This is their campaign. 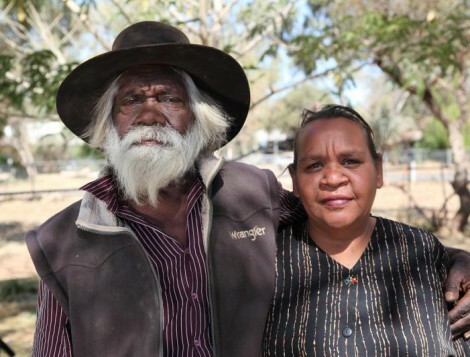 Campaign group in Alice Springs organising public meetings and protests to end the NT Intervention and win self-determination for Aboriginal people. John Pilger examines propaganda as not so much a conservative concept as a quintessentially liberal concept, an extremism that never speaks its name. 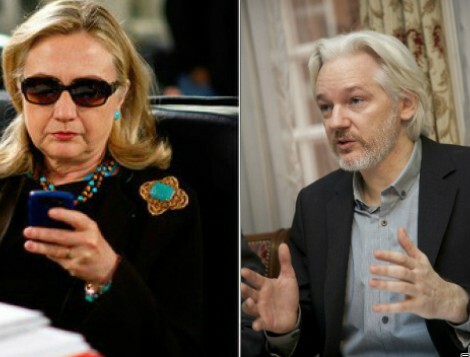 John Pilger describes the augmented Anglo-American government and media campaign against Julian Assange and WikiLeaks as Assange is granted political asylum by Ecuador and remains in that country's London embassy. John Pilger describes how sports-obsessed Australia's disappointing showing at the London Olympics offered a glimpse of a secret past. John Pilger describes the politicising of the law in western democracies and the emergence of increasingly draconian police powers: the corollary of a contrived state of 'permanent war'. Why should this be accepted? On 7 June 2011, the Lannan Foundation in the United States banned the film and cancelled a visit by John Pilger without explanation. Read John Pilger's response to Patrick Lannan's subsequent statement about the cancellation. 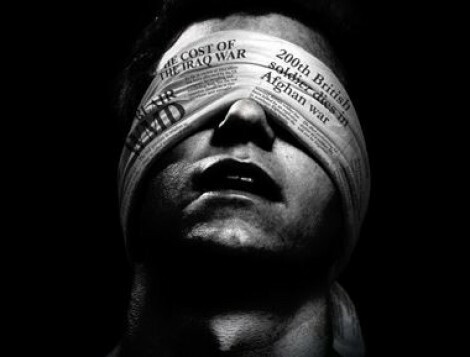 On 17 November 2011, John Pilger presented 'The War You Don't See' at its Indian premiere in Delhi. Read an interview with John Pilger in The Indian Express. 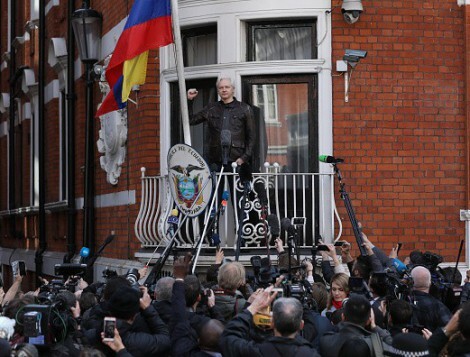 John Pilger argues that years of 'identity politics' have had a marked effect on those who might otherwise see clearly the principles raised by WikiLeaks and the need to defend Julian Assange. Welcome to the new John Pilger website, a remarkable resource and historical record and now arguably the most comprehensive online collection of the work of a leading journalist. 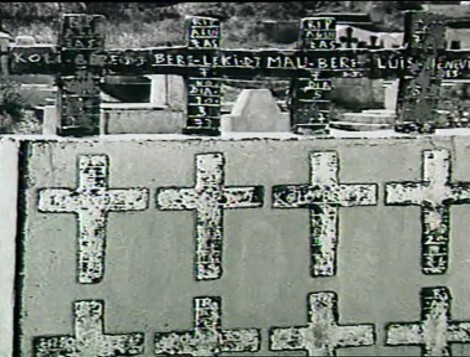 For the first time, the majority of John Pilger's 58 films for television and cinema can be viewed online. New features include a video and article search, a newsletter, social media tools and an RSS feed. The site's relaunch has been made possible by the University of Lincoln, which is preparing a complete digital archive of John Pilger's work. John Pilger describes the disenchantment with parliamentary politics as the British "coalition" government pursues its devotion to 'an extreme political cult of money worship'. He suggests there is only one course of action now. As the 33 Chilean miners are brought to the surface after ther epic rescue, John Pilger describes the unspoken life in Chile behind the media facade that the government of President Sebastion Pinera has skilfully exploited. John Pilger says that while the dangers of Rupert Murdoch's dominance are understood, the role played by the respectable media, such as the New York Times and the BBC, notably in the promotion of colonial wars, is at least as important. 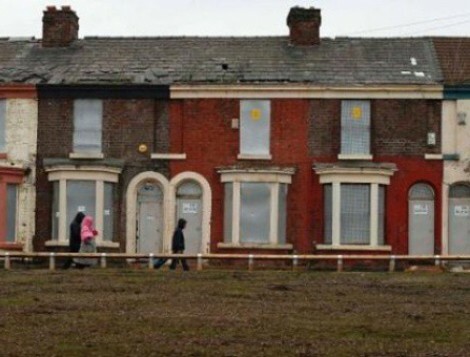 John Pilger examines the effect of 'extreme corporatism' - money - on sport. He contrasts the last of the great sporting stars who were not celebrities in the modern sense with the enrichment of Rupert Murdoch and the corruption of sports like cricket. 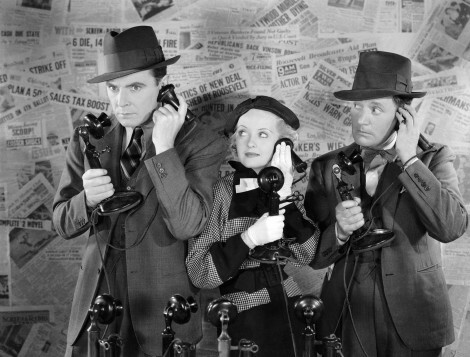 John Pilger traces the history of propaganda to Edward Bernays, the American nephew of Sigmund Freud, who invented the term "public relations". Bernays believed in "engineering public consent" and creating "false realties" as news. Here are examples of how this works today. John Pilger describes the importance of Wikileaks as a new and fearless form of investigative journalism that threatens both the war-makers and their apologists, notably journalists who are state stenographers. 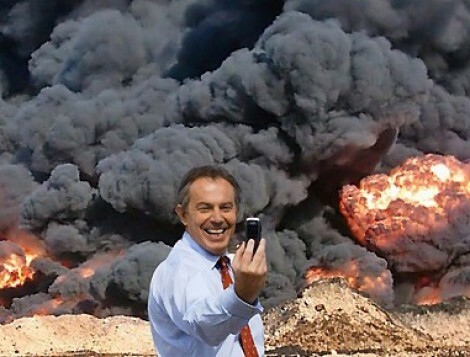 John Pilger writes about the "paramount war crime" defined by the Nuremberg judges in 1946 and its relevance to the case of Tony Blair, whose shared responsibility for the Iraq invasion resulted in the deaths of more than a million people. 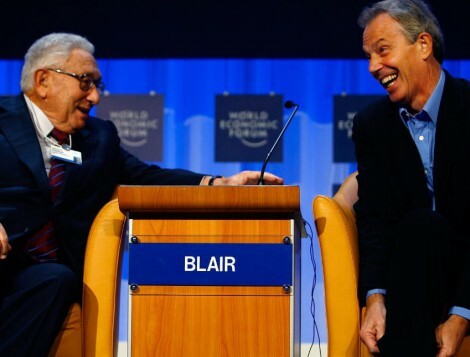 New developments in international and domestic political attitudes towards war crimes mean that Blair is now 'Britain's Kissinger'. John Pilger describes how an all-pervasive corporate media culture in the United States prepares the way for a permanent state of war. And yet for all the column inches and broadcast hours filled, the brainwashing is not succeeding. And this, he suggests, is 'America's greatest virtue'. THE US ATTACKS CHELSEA MANNING In an interview on Radio KPFA, John Pilger describes the significance - and injustice - of the jailing of Chelsea Manning. VICTORY FOR THE CHAGOS ISLANDERS The International Court of Justice in The Hague has handed down a momentous judgement that says Britain's colonial authority over the Chagos Islands is no longer legal. John Pilger, whose 2004 film, Stealing a Nation, alerted much of the world to the plight of the islanders, tells their story here. 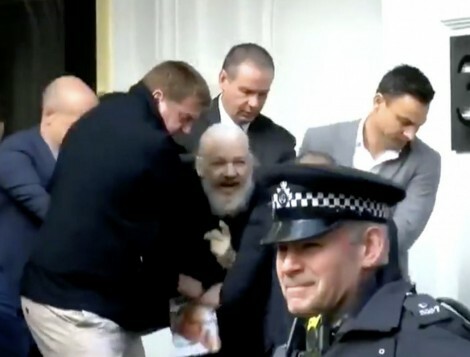 CHRISTINE ASSANGE & JOHN PILGER ON THE SILENCING OF DISSENT Listen to John Pilger on Flashpoints on KPFA Pacifica Radio. DENNIS BERNSTEIN/RANDY CREDICO ON 'COUNTDOWN TO FREEDOM' John Pilger joins two famous names of Pacifica Radio US - Dennis Bernstein and Randy Credico, who discuss 'Julian Assange: countdown to freedom'. 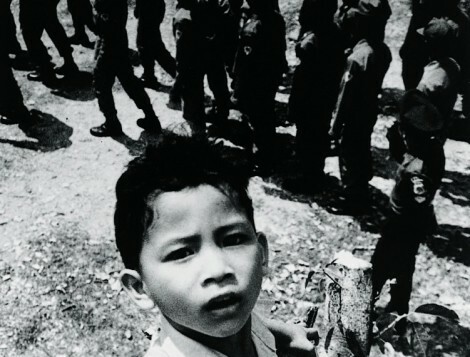 JOHN PILGER ON 'THE VIETNAM WAR' SERIES Listen to John Pilger interviewed on KPFA about Ken Burns' new Vietnam War series. PILGER ON KPFA ON 'RUSSIA-GATE' AND PALESTINE Dennis Bernstein interviews John Pilger on KPFA, California, on 'Russia-gate' and Palestine. 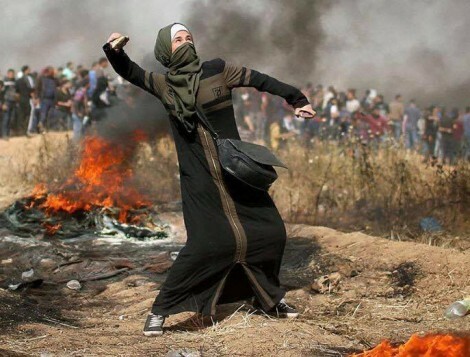 THE PRICE FOR CRITICISING ISRAEL In this piece, Dennis Bernstein writes about the above Pilger interview on KPFA and the issues raised in it. JOHN PILGER ON THE MANCHESTER ATROCITY John Pilger is interview by Afshin Rattansi on RT in the aftermath of the May 22 terrorist attack in Manchester. THE COMING WAR ON CHINA OPENS IN NEW ZEALAND: INTERVIEW ON RADIO NZ The Coming War on China is launching in New Zealand. Listen to John Pilger interviewed on Radio New Zealand National. JOHN PILGER'S Q&A ON 'THE COMING WAR ON CHINA' Watch John Pilger speak at the Riverside Theatre Parramatta in Sydney on 6 March 2017 during a showing of his latest film, The Coming War on China. JOHN PILGER ON THE US ELECTION CHARADE Watch John Pilger interviewed by Afshin Rattansi on Russia Today about Obama's legacy and the current US presidential campaign. 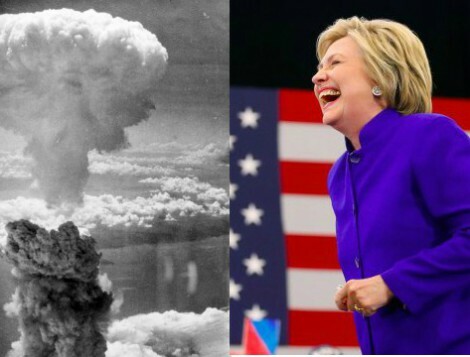 JOHN PILGER ON THE US ELECTION'S SILENT ISSUE Listen John Pilger interviewed by Flashpoints about the silencing of America as it prepares for war. John Pilger speaks to Radio Adelaide about the place of ANZAC Day within Australian culture. JOHN PILGER INTERVIEWED BY DENNIS BERNSTEIN ON KPFA SAN FRANCISCO John Pilger discusses the latest plans by the US to dominate China and the world with a new generation of nuclear weapons. JOHN PILGER RE-LAUNCHES HIS BOOK, 'RULERS' WITH A GUARDIAN WEBCHAT John Pilger answered questions from the public in a live Guardian web chat to mark the relaunch of his book 'New Rulers of the World'.